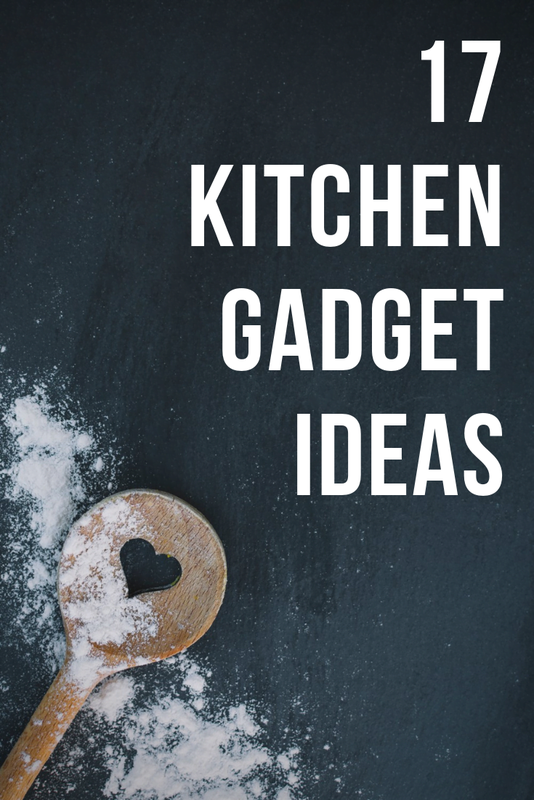 There are a whole bunch of crazy kitchen hacks to make you a kitchen maestro, but sometimes kitchen hacks aren’t enough. 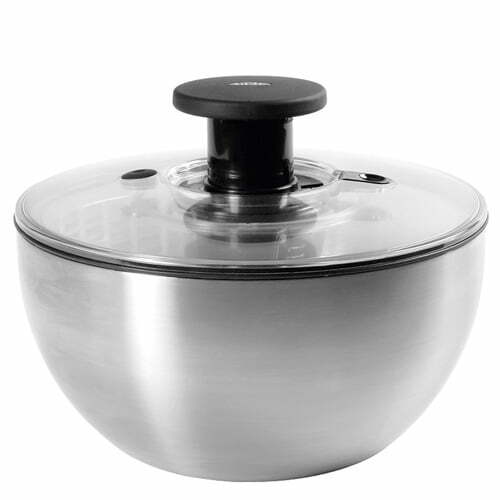 To get the cutting edge you need an arsenal of kitchen equipment to cut corners and save time. 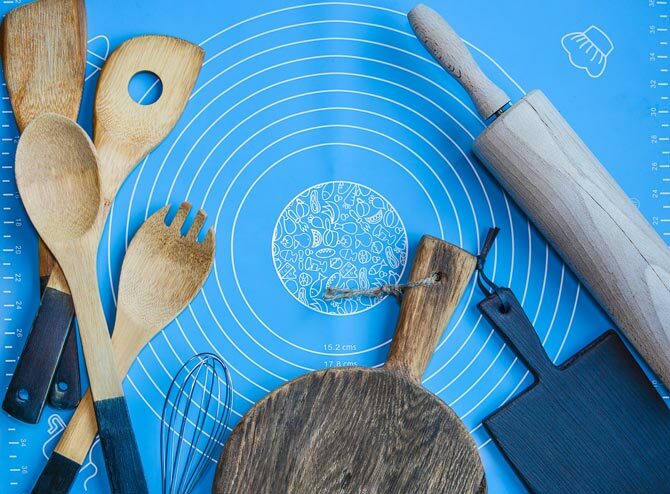 These are the 17 best kitchen gadgets for 2019. Easily forgotten, but undercooked food is dangerous as well as far-from-tasty: It contains harmful bacteria and could put you well on your way to a spell of food poisoning. 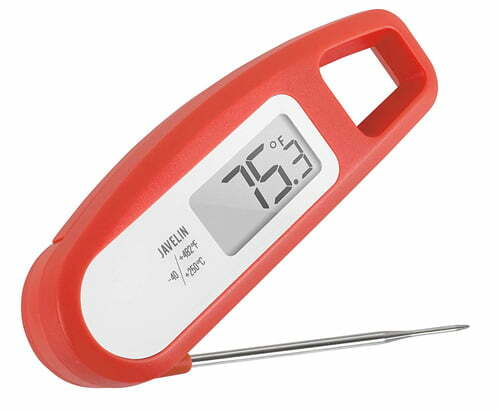 Save yourself from those painful symptoms and use an instant read digital thermometer to tell when your meat is good and ready. At only a few inches long, these are compact, and incredibly accurate. Great in the oven as well as on the grill. Cutting, cubing and julianning food is difficult to do with machine-like precision unless you’re a seasoned cooking veteran. Luckily for us amateurs there’s the mandoline. 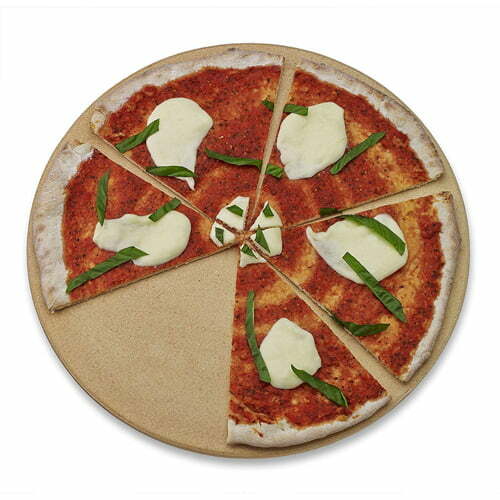 This brilliant gadget allows you to create perfectly symmetrical slices and cubes of food, and is brilliant easy to use. 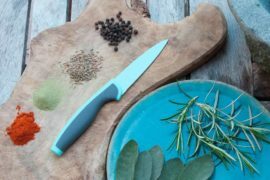 The thickness of your slices can be easily adjusted, and can be done with a range of blade edges and styles of cut, and allows you brilliant flexibility to produce the kind of cuts that you want. These Japanese equivalents of the modern chef knife are a lot lighter and thinner than their Western counterparts, and will offer you greater variety in your cooking preparation. 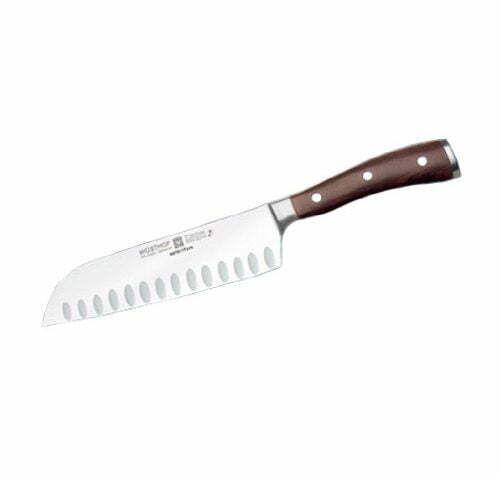 What benefits do santoku knife offer? Their beveled blade improves their cutting performance, especially for fish, and makes it easy to release thin slices of meat. A must for the modern kitchen. On the outset these may seem like heavy-duty and specialist pieces of machinery, but modern knife sharpeners are now very easy-to-use, safe, and compact enough not to dominate space on kitchen counter. Many of the best knife sharpeners offer different stages in order to perfect the cut and finish on your blade, and have a set angle to make it easy on the most novice users of us. 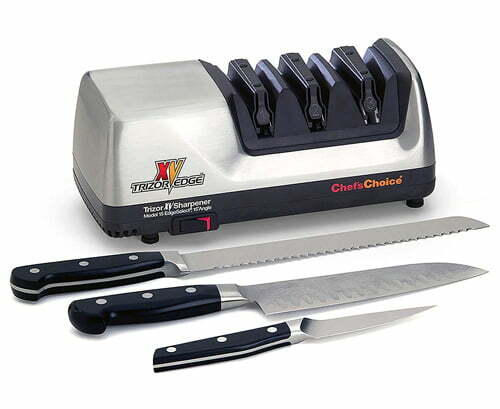 These machines will ensure your knives last for years, and in the best possible shape. Blending up fresh fruit and vegetabes to make juices and smoothies is one of our favorite things to do, but what so often puts us off is the arduous cleanup operation after. It messy and it takes forever. The Nutribullet eradicates almost all of this, making it our favorite by far. 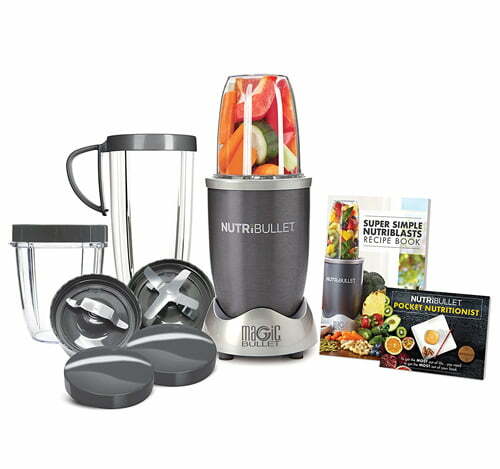 It’s a very compact number that offers you the best of a juicer and a blender in one, and is brilliant at breaking down skins, seeds and stems as well as the main body of each piece of fruit. Classic cheese graters are old fashioned. Sorry to tell you that. You need something that can go beyond mere cheese. 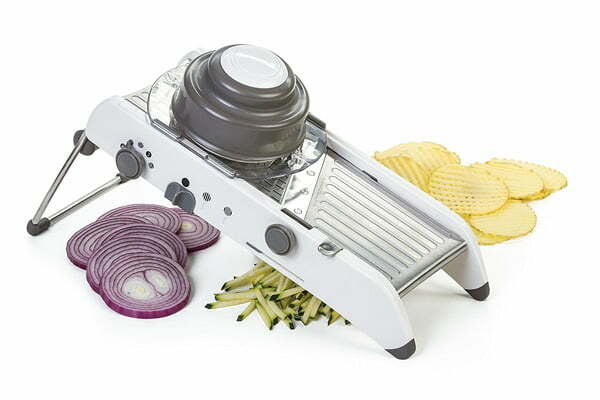 With a zester-grater combo like this you can easily zest lemons and oranges, or grate ginger, parmesan or garlic. 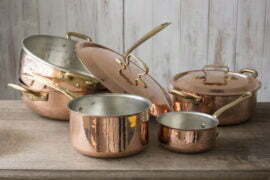 The grip is comfortable and sturdy, easy to put away, and dishwasher safe. Who said salad spinners are pointless? These will quickly spin dry your greens, removing all the work and leaving you with a fresh taste. 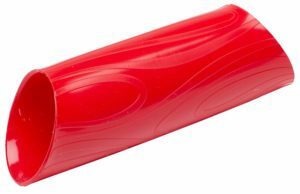 Don’t be put off by the very basic appearance of this cylinder – it works wonders. A quick roll over cloves of garlic and it strips them of their skin, leaving you with a naked and fully prepped clove. Completely saves you from the irritating task of individually peeling them and getting the smell firmly under your nails. Now something to correct a crime that I’m constantly guitly of: Being overgenerous with my portions. Getting these wrong can be disastrous, and can ruin a dinner. 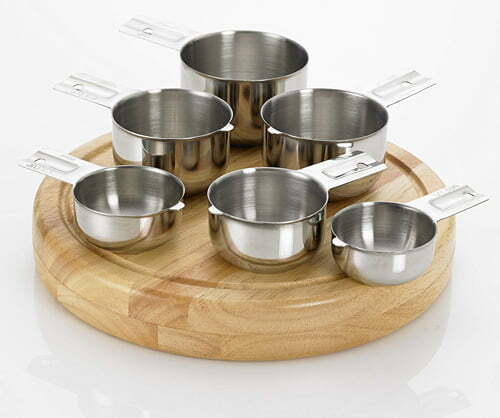 Get it spot on every time by using precision measuring cups. Their build makes them much better than their plastic counterparts, plus they don’t look too bad either. 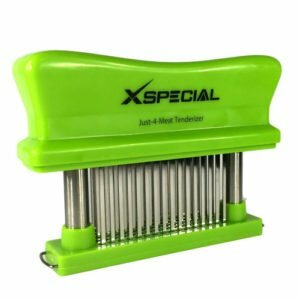 A kitchen essential, a meat tenderizer will effortlessly cut through tough meat and help dramatically reduce cooking time, giving you a much more juicy and tasty cut of meat. It works on a large range of meats, from steaks to tenderloin, and will allow fantastic penetration for your marinade to soak through. It might seem like fairly reasonable logic that any wooden board will do, but oh no. The best ones have deep grooves that collect any juices that run off your meat. This will keep your kitchen counter surface clean, as well as help you recycle the juices for later. Leaving your meat or pizza on the board for a few minutes away from the heat of your oven will also help prevent the juices from escaping, keeping your food moist and fresh. Modern store-bought beef patties are hardly healthy, some even pushing 50% fat. It’s time to take back control over what you put in your body by making your own. 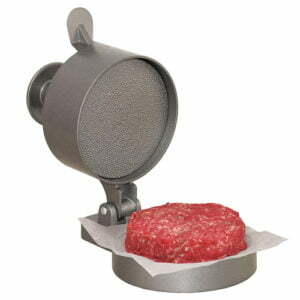 A hamburger press allows you the option to adjust the thickness, as well as a handy ejector to budge the patty out should it get stuck. You need to streamline your kitchen tools, and this pasta server does just that. Not only does it help you measure dry pasta as well as served it once it’s cooked, but you can also grate parmesan cheese along its side. 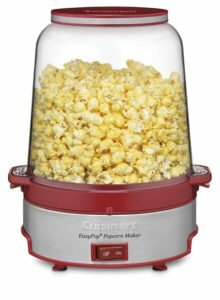 It’s sleek and modern, and won’t look out of place in any modern kitchen. Too often we serve straight from bottle to glass to mouth, when red wine needs to breathe in order to open it up and taste better. A wine aerator is an easy and convenient way to speed up this process, giving you a much more smooth and rich tasting wine to have with your meal. They say that every man should know how to make one good cocktail. 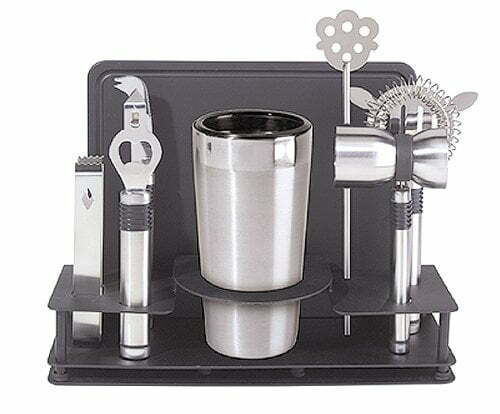 It’s time to get practicing, and where better to start with a cocktail set? Put the fun back in the kitchen and get mixing. Any good cook worth his salt always has an arsenal of cooking spices at his disposal. But they don’t need to be hidden away in a corner cupboard. 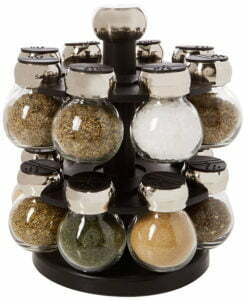 Show them off and do with style with a spice rack.